With the HP ENVY 5010 All-in-One Wireless Printer, you can print, scan and copy with ease. It's compatible with HP's Instant Ink Service. By signing up to Instant Ink you will be able to save up to 70% on ink and never run out. Ink is ordered by your printer and delivered to your door. This versatile All-in-One Printer, Scanner and Copier makes light work of producing quality documents, with a print resolution of up to 1200 x 1200 rendered dpi (mono) and up to 4800 x 1200 optimised dpi (colour). And with a print speed of up to 9 ppm (ISO mono, A4) and up to 6 ppm (ISO colour, A4), you'll have your documents ready in no time. With built-in Wi-Fi, you don't need to use a USB cable to connect to your ENVY 5010 - simply connect the printer to your router wirelessly and you'll be able to use it with a variety of devices, such as your PC or Android mobile phone. Print your documents, emails, photos and more on the go with HP ePrint or use AirPrint in the office to print from your iPad or iPhone. You can use the handy touch screen display to easily scan, copy or print your documents, and the ENVY 5010's paper tray can hold up to 80 pages. 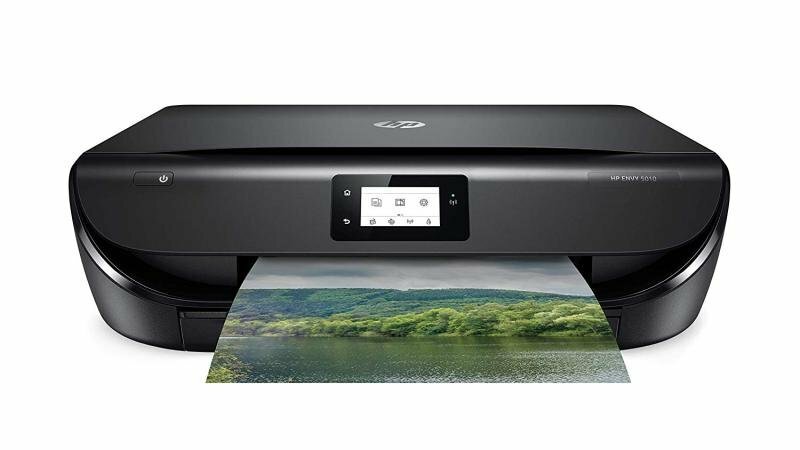 HP Instant Ink is a replacement ink service that saves you time and money ensuring that you always have ink before you need it. HP Instant Ink eligible printers that are connected to the internet send a message to HP when you need new cartridges and they'll be shipped directly to you. Designed to ensure that you're paying for the number of pages you print as opposed to the ink itself, it'll help you get the most out of your printer. For a monthly fee, you can enrol on the page plan of your choice (50, 100 or 300 pages per month) and, regardless of what you print, including colour photos, HP will send you the ink you need all included in your monthly price plan. Unused pages can be rolled over to the next month up to the limit of your chosen plan (for example, in the 50-page plan, up to 50 unused pages can roll into the next month, giving you a maximum of 100 pages for that month). You can also upgrade your plan at any time if you want more pages or cancel your plan online without penalty if you need to stop your subscription.